What’s Simon Says got to do with self-regulation? I recommend using action songs of all sorts to teach self-regulation. Learning to stop, start and change movements to music and songs is a lot of fun. Not only that, it’s a great way for them to learn how to manage their behavior, thinking and emotions. Bonus! That also leads to greater success in school. All of this from playing Simon Says? Well, not completely but action songs are a fun way to start. When you play Simon Says (here are step-by-step instructions), children have to pay attention, listen carefully for the words “Simon says” before doing the action. Add in distractions and excitement and you have a great way to firm up your self-regulation skills. Change how slowly or how quickly you sing each song or play each game. Change your voice to loud or soft or your ‘everyday voice’. Clap, stomp, jump or move quickly, softly, hard … any variation that helps children control their bodies. I’ve had a lot of fun when I asked the children to decide how they want to vary each song or chorus. Give them a chance to be leader and see if your self-regulation skills are up to snuff. Any songs and games where you have to start and stop (that is regulate your attention and body) are excellent ways to work on self-regulation. Just make sure to stop while it’s still fun. Which children need help with self-regulation? It’s not just children with autism or other conditions who need help with self-regulation. Every child could use a little help but some need more. Most children will need help at different stages in life. Self-regulation doesn’t just happen for many children. As we talked about in February 2018, learning self-regulation takes a long time. Developing and refining self-regulation takes at least the first two decades of life. And, each of the five key executive functions develops at different paces; some maturing earlier, some later. If you answered ‘yes’ to any of these questions, your child could benefit from working on self-regulation. Often we get used to patterns of behavior and don’t really notice if a child is different from others his age. The Executive Function Survey will help you summarize your day-to-day experience and let you look at some of these patterns. Go ahead and complete the survey. Once you’ve finished answering all the items, add up each column from pages one and two. There are a total of 25 items but, even if your child does three or more things ‘very frequently’ or ‘always’, you should start working on your child’s self-regulation. I’ve had parents say, “Oh, he’s just a busy boy.” and pass off the behaviors as just being a kid. That’s not really helping him. We all know what can happen if we just wait and see. Start now and don’t wait for failure or bad experiences. (3). More than half have low muscle tone and about 9% have large muscle (gross motor) delays where the child looks clumsy. More than one-third have motor dyspraxia, or difficulty planning, coordinating, producing and reproducing actions and movements with their bodies. Children can have problems imitating gestures (such as waving or making thumbs up) and actions, using tools (such as pencils, scissors, toothbrushes). In the very first spark* News (December 2017) I mentioned I was criticized for having a child doing handsprings on the cover of spark* and spark*EL. The criticism came from a parent of two children (now young adults) with autism. She said she didn’t want her children doing handsprings. I, in my sometimes less-than-tactful manner, said that I want kids on the spectrum to have times when they can let loose. I want them to know there are times when they can feel the joy of standing on their heads, kicking up their feet, yelling at the top of their lungs, flicking pieces of string, flapping their hands and fingers. Those are exciting and really enjoyable. Why would we want to squelch them?? Talk about joyless childhoods! Self-regulation is a limited thing. Your ‘self-regulation’ battery can keep going and but it will run out. Children just learning to self-regulate will find it even more draining. After working on self-regulation, children will mentally and physically tired. Their ability to self-regulate will drop off. They’ll develop the ‘grouchies’ and become more distractible. Researchers find this in everyone, not just children with autism. First of all, make sure the child C.A.N. self-regulate. We’ve talked in previous editions of spark* News about making sure children are Calm (the “C” in C.A.N. ), Alert (the “A” in C.A.N) and nourished. Do a few moments of Turtle Breathing before you start. Make sure you’re asking children to practice self-regulation only when they’re well-rested and feeling okay. If they didn’t sleep well the night before or aren’t feeling well, you should either forget practicing self-regulation or do an activity that was successful before. Children’s brains and bodies need well-balanced diets to function (check the June 2018 spark* News for more information). So … this means you need to check if children C.A.N. self-regulate before starting. Teach children to check for themselves – “Am I calm? Is my brain alert and ready to work? Did I eat some good food?” Make a checklist for the children, like the one below, so they can check for themselves. Second, use activities that include their areas of high interest. That can be computers, flags, clocks, maps, Thomas the Tank Engine … you name it. It’ll make practice more fun and enjoyable and they won’t fatigue as quickly. Third, don’t practice too long. I recommend working on new things for no more than two minutes for every year of the child’s age. That means, a two year old should practice no more than four minutes. And an eight year old should practice for no more than 16 minutes. You want to stop when children are still keen to do more. You can practice for longer periods once the children become stronger self-regulators. That is, their ‘self-regulation batteries’ expand their power limits. Fourth, give every child times and places when they don’t have to self-regulate. They need to just be themselves and let loose. Select places where children can be un-regulated – the backyard/garden, the playground, bedroom, whatever works. Also, choose times when it’s okay. 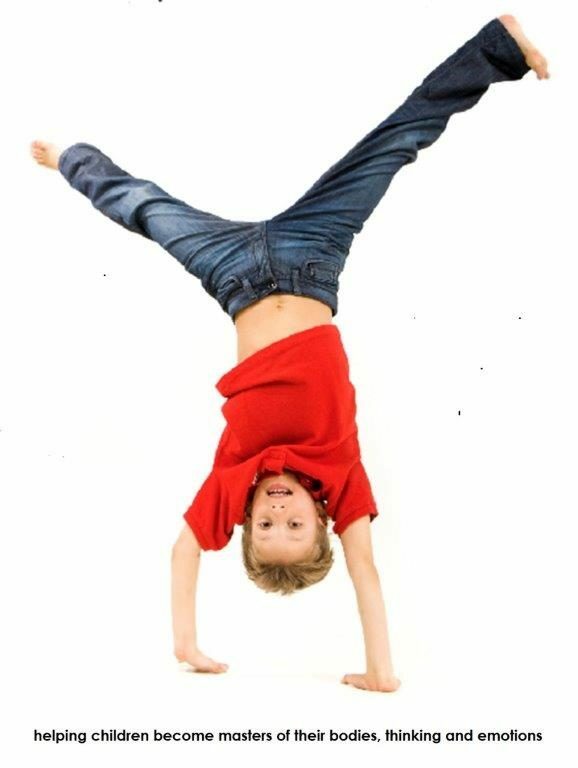 Post the rules so children know when they can release the brakes and do handsprings if they want. Yes, that’s what we have to do with children learning self-regulation. We have to allow them time and space to become more independent. Our ultimate goal in teaching self-regulation is for children to make choices for themselves. They need to develop a sense of freedom. This means they become more autonomous …. and they don’t need us so much. How do you go from hovering so disasters don’t occur to giving children space to become more independent? How do you stop acting as children’s frontal lobes? First of all, we have to teach them how and when to regulate their bodies, thinking and emotions. They need help to become aware of their ability to self-regulate, of when and where they need to use these skills, of how to be more resilient and how to advocate for themselves. We don’t just throw them into a situation and hope they can swim!! Find the balance between your actions and your words. Stay calm (calm adult = calm children) and show confidence in the children’s ability. The words we use are critical. Even if you’re not sure the children understand everything, at the very least they’ll understand your tone of voice. When working with children with autism, we become used to telling/ordering them what to do. We also help them a lot – doing things for them. These are ‘doing-to’ and ‘doing-for’ approaches that ultimately keep children dependent on the adults around them. There’s a time and place for telling children what to do (like, “Stay away from that dog!”). Some ‘doing-for’ things are steps in the right direction. For example, when we set up visual schedules and streamline the environment, it’s clearer to children what they’re expected to do. Over time, we want them to organize themselves and cope with some uncertainty. We need to move to ‘doing with’ the children. That means becoming a learning partner. It’s not easy to do. You have to be willing to wait, watch patiently, and let the children make mistakes. You have to focus on the end-goal: we want children to do-it-yourself. We want the children to plan and organize on their own, inhibit unhelpful behaviors, remember what they plan to do, check their own progress, and change approaches if need be. Sit back and pretend you’re in the passenger’s seat and the child is the driver. Trust yourself and trust the child. Use inclusive language. Use “we”. It’s a simple but powerful way to tell children you’re in this together and you’ll be there to support them if needed. Ask rather than tell. Use words like “How about …?”, “What do you think if we do it this way?”, “What’ll happen if we do it this way?” when making suggestions. Give them choices. Choices can be about what to do, how and/or when or by giving a reason when choice is limited. Choice is powerful. It tells the children they’re important and have some say. Choices can start out really simply. For example, you decide what things need to be done but the child determines the order for completing them. You offer milk and juice and the child selects one. Remember, once children make a choice, you have to respect it … even if it’s not what you had in mind. Invite and value their opinions. Ask about what they’d like to do, how they’d like to do it, why they don’t want to do it, etc. Listen to their ideas and respond to their suggestions. Acknowledge their outlook even if you disagree. Think out loud. Explain in simple terms what you’re thinking and the reason you want to do things in certain ways. You may not get your way but the children will learn about other ways of doing things. What’s a tummy got to do with self-regulation? Self-regulation starts with the brain, with executive functions. Brains work 24 hours a day and move into high gear when you’re working on self-regulation. This is especially true when you’re first learning. So what’s your tummy got to do with it? Well, your brain needs fuel to function and that fuel comes from food. Not just any food but good quality foods that have lots of vitamins, minerals and antioxidants (1). A balanced diet includes a variety of foods that contain nutrients necessary for good health …. and for brain function. We know that up to 90 per cent of children with autism have selective diets (2). That means they have strong preferences for just a few favorite foods. Those favorite foods are usually carbohydrates (sugars and starches) and highly processed snack foods (3, 4, 5, 6). Favorites I’ve seen are goldfish crackers, chips/crisps, dried fruit snacks, and noodles. Those foods don’t fuel brains or bodies very well or for very long. Food and mood are also linked. That is, the better the food you eat, the better your mood. Children with autism who have selective diets (limiting the amount of protein and fiber they eat) are more likely to have temper tantrums (7). And it’s not just children with autism! Non-autistic boys whose diets are low in vitamins and minerals are more likely to have behavior problems (8). I worked with a lot of children who were selective eaters. You can almost predict their ‘mood crashes’. It seemed that they soared on the sugars they ate and then just fell apart when their ‘fuel’ ran out. Two hours after they ate, they’d become irritable and angry and couldn’t do much of anything. Watch them carefully and know what they eat. If we expect them to regulate their bodies, thinking and emotions, their brains need lots of good quality ‘fuel’ from food. If we want them to interact positively and consistently, their mood needs food too. In spark*, I emphasize the importance of fueling the children’s brains when working on self-regulation. Young children trying to regulate their bodies, thinking and emotions should eat nutritious foods every 2 to 2 1/2 hours to keep their fuel levels up. But how do you get them to eat something other than ‘the usual’? Selective eating in children with autism is related to sensory issues and to their preference for sameness. Food texture, appearance, taste, smell, and even temperature can figure into food choices (9). I’ve heard of children who’d only eat yellow food or crunchy textures. The way food is presented (such as food packaging, how food is placed on a plate) and eaten (fingers, spoon, fork) can affect whether they’ll eat them (10) – they prefer the same old things. Our children aren’t keen to try anything new. We know that straight behavioral approaches (like rewarding acceptance of new foods) have limited success (11). They resulted in children eating more food but not a larger variety of foods. Other approaches, like desensitization and reducing sensory issues, haven’t been well-studied so the jury is still out. There is one approach that is really appealing to children with autism. That’s The Eating Game (stands for Get Awesome Meals Everyday). It’s visual and structured. It makes meals predictable and, best of all, children learn to self-regulate their eating – they know when they’ve had enough and when they need more of certain types of foods. The Eating Game presents a visual plan for each day that shows the number of servings for each major food group. The food groups are color-coded as are pictures of foods within each group – of course, you can add personal favorites. Children match the color of each food option and see when they have the right ‘balance’ of foods. I’ve tried it. Children love it and it helps ensure they get the brain fuel they need. (1) antioxidants protect your brain from oxidative stress or the “waste” (free radicals) produced when your body uses oxygen. Free radicals can damage brain cells. (2) Ledford J. & Gast D. (2006). Feeding problems in children with autism spectrum disorders: a review. Focus Autism Other Dev Disabilities. 21, 153-166. (3) Schmitt, L., Heiss, C. J., & Campdell, E. (2008). A comparison of nutrient intake and eating behaviors of boys with and without autism. Topics in Clinical Nutrition, 23(1), 23–31. (5) Schreck, K.A., Williams, K., Smith, A.F. (2004). A comparison of eating behaviors between children with and without autism. Journal of Autism and Developmental Disorders, 13(4), 433-438. (6) Williams, K. E., Gibbons, B. G., & Schreck, K. A. (2005). Comparing selective eaters with and without developmental disabilities. Journal of Developmental and Physical Disabilities, 17, 299–309. (7) Dominick, K., Davis, N., Lainhart, J., Tager-Flusberg, H., & Folstein, S. (2007). Atypical behaviors in children with autism and children with a history of language impairment. Res. in Dev. Disabilities, 28, p. 145-162. (9) Schmitt L, Heiss C, Campbell E. (2008). A comparison of nutrient intake and eating behaviors of boys with and without autism. Top Clinical Nutrition. 23, 23–31. (10) Williams P.G., Dalrymple N., & Neal, J. (2000). Eating habits of children with autism. Pediatric Nursing. 26, 259–264. (11) Marshall, H., Ware, R., Ziviani, J., Hill, R., & Dodrill, P. (2015). Efficacy of interventions to improve feeding difficulties in children with autism spectrum disorders: a systematic review and meta-analysis. Child Care, Health & Development, 41, 278-302. Here’s one I (Heather) developed for young children. Self-regulation is about making conscious decisions in relation to your executive functions – planning and organizing, controlling your impulses, engaging your memory, self-monitoring, and thinking and acting flexibly. Here are five things you can do to encourage self-regulation in everyday life. Prompt children to plan and organize activities. Start with one or two steps in a familiar activity and then gradually move to more complicated, less familiar things. Start an activity and ask the child, “What do you think we should do next?” No matter what the child says or does, give it a try. If it doesn’t work, that’s a learning opportunity – you can gently guide him into rethinking the approach. When it works, ask him to choose “the next step” and the one after that. This helps children to start thinking ahead and develop more independence. Teach children they are the masters of their own brains and bodies. I found that when I used ‘self-distancing’, children were more likely to start self-regulating. Self-distancing is a simple but powerful tool – children are prompted to step back from their brains and bodies and tell their brain or body part what to do. I (Heather) teach children to talk to their brains, hands, feet, voices, etc. so “you can help them learn”. By using this simple distancing process, emotions are removed and children become their own teachers. Try it! Telling your brain or body what to do is remarkably powerful. Make checking progress part of every activity. After you start an activity with your child, stop and say, “Let’s see how we’re doing. Are we following the plan? Does it look like the picture in our heads?” Model how you can stop and change things if the activity isn’t proceeding as you expected. Have your child evaluate the progress too so he can learn to self-monitor on his own. Change your mind. This is part of learning cognitive flexibility, a sometimes challenging thing. Once you have a plan in place, announce “I’ve changed my mind”, and change one small part. You might change the order of doing things – “I’ve changed my mind, let’s read a book first and then watch the video” or “Let’s put on your shirt and then your socks”. Progress to larger changes – “I’ve changed my mind. How about we go to Safeway/Tesco/Hyper U instead of our usual store today?” Make small changes part of everyday and be sure to reassure your child, “We can change our minds. That’s okay sometimes.” Be sure to let your child make changes too. It’s important to help him take a more flexible approach to life.